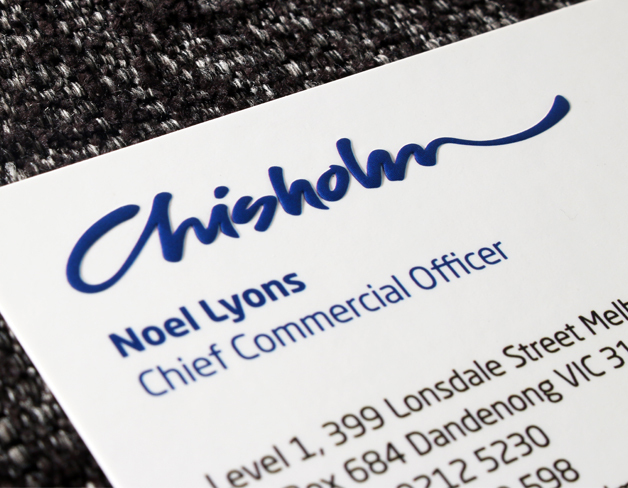 The perfect business cards need to be different, unique in paper texture, colour, finish and on touch, yet still cost-effective, and that’s exactly what our collection achieves. Paired with our price beat guarantee – our range of affordable business cards are simply unbeatable. The matte stock has a clean and crisp finish, while the gloss laminate has that touch of shine and glistens under certain angles and lighting. Spot UV option available and various thicknesses to choose from: 250GSM to extra heavy and luxe 420GSM. One our most popular standard paper stocks. With a natural, organic raw finish available in smooth, lightly textured surface. With a matte feel, this range also offers light linen-like to more prominent textures. Inktank has carefully curated a cheap business card range for those on a budget but with a vision to stand out from the crowd. We’ve ventured beyond the standard, laminated colour business cards with an array of standard paper options. As Australia's first, we now house hundreds of unique paper stocks, and shortlisted the most cost-effective but neverthless unique and specially textured papers in this range. Standard artboard papers with matte and gloss laminate in various thickness are just the beginning. At unbeatable costs, we boast a variety of organic, uncoated, smooth and textured, linen paper stocks including brown craft for that elegantly rustic look. Our tailored range of cost-effective business cards come in endless variety of custom sizes, dimensions and shapes – from circle, square, roundered corner, rectangle or even double sided and folded. We give you the choice to create your own design so it perfectly represents your business and style. We can print out your photos and graphics, and help point you in the right direction so you nail your branding. We understand that in today’s busy world, timing is of the essence. That’s why we offer express turnaround time, starting from 48 hours on selected paper stocks and print options. Meanwhile ensuring you do not lose out on exceptional quality and customisation options. We bring you luxury quality and personalised business cards at inexpensive prices, with a commitment to an excellent and quick service. From simple to sophisticated, our affordable range will have something for you. Standard paper ideal if you want chic rustic or environmentally friendly feel. Highly recommended for digitally printed small quantities as low as 200. For additional kraft paper options check out or Kraft & Vintage range. A stunningly luxurious choice when paired with silver ink printing, being the most popular option with this slick product. Waterproof and ideal for outdoor conditions, our increasingly popular economy range also includes PET plastic cards. This slick, unique alternative to paper is available in white, transparent and a range of metallic finishes such as silver and gold. To fully apreciate this carefully tailored budget collection, order your standard paper samples collection now.